Meghan Markle is just like Princess Diana, Sarah Ferguson and Kate Middleton for a reason. The former “Suits” star made a buzz when she started dating Prince Harry. Markle was very different and was deemed to be a breath of fresh air. A number expected her to revolutionize the monarchy with her advocacies, but just like the previous royal brides including the Princess of Wales, Duchess of York and Duchess of Cambridge, she didn’t. “People in the States saw Meghan as sort of a revolutionary,” royal expert Victoria Arbiter said. She added that many also thought of Princess Diana, Ferguson and Middleton that way at some point. “They were expecting her, perhaps, to really turn the monarchy on its ear and catapult it into the 22nd century ahead of time, but Meghan hasn’t,” she continued. Arbiter commended Markle for being very smart and playing the game very well. According to the royal expert, Prince Harry’s wife is doing what’s expected of her and that’s to follow the royal family’s orders. There’s no way Markle would rebel and change the monarchy. “They’re creating that royal rebel narrative that doesn’t exist,” Arbiter said. Markle used to be very outspoken before she dated Prince Harry. In fact, she maintained a blog she called The Tig, where she shared just about anything under the sun. She was also active on social media, but she shut down all of those months before she officially joined the royal fold. 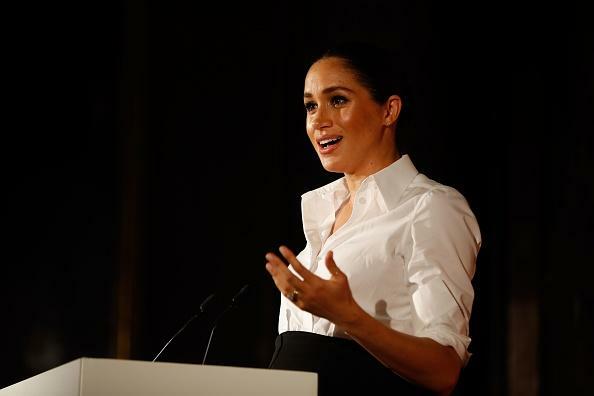 The Duchess of Sussex has been the subject of criticisms and false accusations by online trolls. Her dad, Thomas Markle Sr., and half-siblings Samantha and Thomas Markle Jr. have been speaking ill of her, but she remains silent, which is what’s expected from a royal. Just recently, five of Markle’s friends spoke out to defend her from the online attacks made against her. According to one insider, Markle never really changed even if she’s now a royal. She still accommodates them and she also cooks every day for herself and Prince Harry. Netizens felt that Kensington Palace has made a “terrible job” in defending Markle. According to some online users, the palace only reacts to defend Middleton, which made them think that the racist hate sprang from the palace itself.